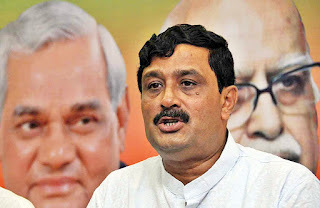 Our Correspondent ● Kolkata: West Bengal BJP president Rahul Sinha today claimed that Bihar’s election result will have no impact on Bengal, because when the Left was in power for 34 years, it never managed to get a majority in other states. The state BJP will organise a rally on 19 November, which will be led by senior leaders like Kailash Vijayvargiya, Siddharth Nath Singh, Sinha himself and others. A meeting of the party will be held at Mahajati Sadan before the rally. The rally will commence from College Square. Hoping to win the majority in Bengal in next year’s assembly elections, Sinha said that in the state, the fight is between “development and non-development.” BJP wants to end the violence of the ruling Trinamool Congress (TMC) in the state and Prime Minister Narendra Modi will come down to Kolkata on 12 and 23 January, 2016, in this regard. Criticising Bengal chief minister Mamata Banerjee, Sinha said: “If she is so confident about her work towards development then why is she joining hands with Congress for the next polls?” He alleged, Banerjee is also aware that she won’t win the election if she fights it alone, and TMC will join hands with Congress just to keep away BJP. The Bengal government had initially planned to split Murshidabad and Hooghly into two different districts (North and South Murshidabad, and Arambagh and Hooghly) for the 2016 state polls. But that won’t be effective, and the polls will be held as before, he said.